How do I know if my baby box turtle is eating? 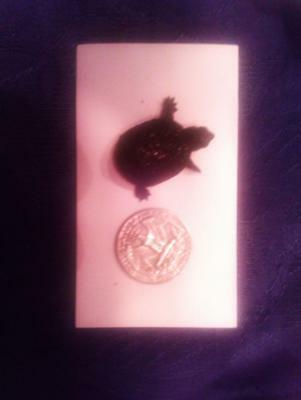 Hi, I have a box turtle about the size of a quarter, and he has burrowed in his aquarium. There are 30 small worms, plus a few Wardley Turtle Sticks. I haven't seen him come back out of the dirt for a few days, and the sticks have not been eaten. How do I know that he is eating and is healthy? Comments for How do I know if my baby box turtle is eating? It certainly means that you need to clean the tank.